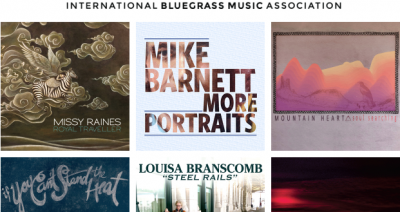 November 28th, 2017 – Nashville, TN –– In a genre considered by many to be a narrow homogeneous slice on the fringe of country music, Compass Records is celebrating GRAMMY™ nominations for three dramatically different bluegrass artists. 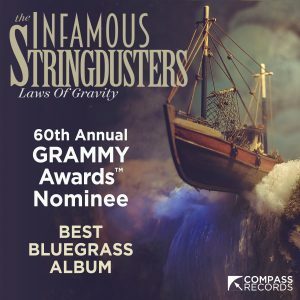 Bobby Osborne, Michael Cleveland, and The Infamous Stringdusters have all received a GRAMMY™ nomination in the category of Best Bluegrass Album of the Year for the 60th Annual GRAMMY™ awards and each one represents a part of the history and the future of a great American tradition. 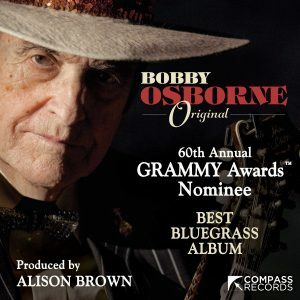 Bluegrass legend and innovator Bobby Osborne is a familiar name to many for his 52 years as a Grand Ole Opry member, his hits, “Once More”, “Making Plans”, and “Rocky Top”, arguably the most famous song in the genre, but 2017 has been a huge year for the 85 year old, who collaborated with artists like Vince Gill, Sam Bush, Sierra Hull, and producer Alison Brown to make ORIGINAL and who over the past few months has appeared at festivals around the country including Bonnaroo, Hardly Strictly Bluegrass, and Freshgrass. His first ever music video featured a star-studded performance of a Bee Gees cover and the song won Bobby his very first award from the International Bluegrass Music Association. 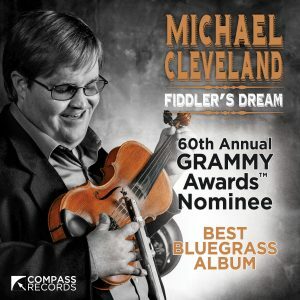 Unlikely viral star, Michael Cleveland, also released a collaboration-heavy album. FIDDLER’S DREAM could be considered a magnum opus for this virtuoso musician. The album is a wide-ranging snapshot of an artist at the peak of his powers, challenging himself by appearing with the best of his peers including producer Jeff White, Sam Bush, Jerry Douglas, and Andy Statman. 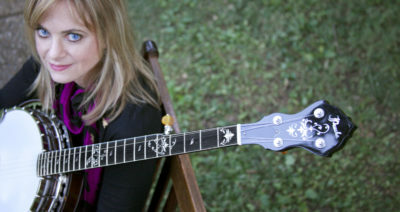 From original compositions like “Sunday Drive” to his unique take on John Hartford‘s classic “Steamboat Whistle Blues”, the album is an exceptional example of what traditional bluegrass can be at its best. Workhorse touring outfit and 2 time GRAMMY™ nominees, The Infamous Stringdusters turned inward and reached up, releasing an album of all original material that they co-produced with hip hop producer Billy Hume. 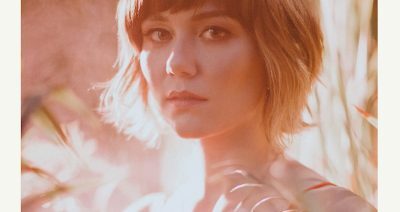 Their coming-of-age love story video for the single “Gravity” was featured on CMT and the group’s relentless touring schedule included performances with Ryan Adams at Red Rocks and Late Night with Stephen Colbert as well as Jerry Garcia‘s 75th Birthday Celebration with John Mayer and Kamasi Washington. From one of the genre’s true architects, to one of its contemporary masters, to a group spreading the word to the mainstream, Compass Records congratulates all of these nominees!